The sky is blue. Water is wet. I have amazing Photoshop skills ( see above ). Our website updates always come late. And another obvious statement we can make, and have been making, < Realm of Insanity > defeats another expansion first. This makes an unprecedented seventh expansion in a row for < Realm of Insanity >. Tic Tac Toe seven in a row. Notice their suggestion was to repeat a raid that we have a lockout on, and to basically go away if any of your problems have anything to do with new content. 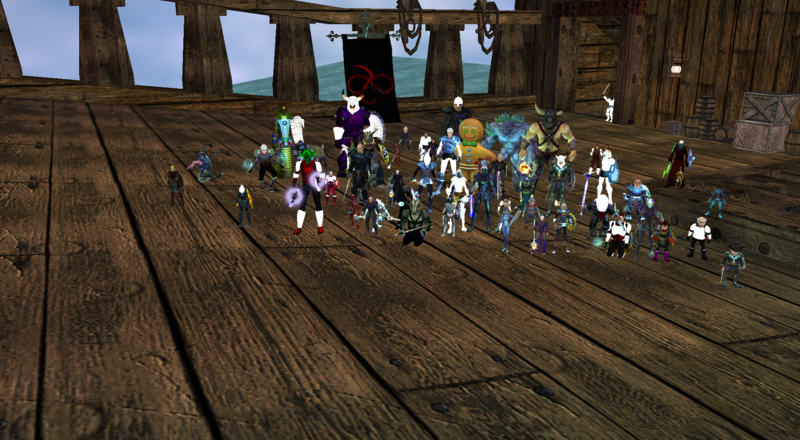 What exactly do Everquest GM’s do now-a-days then? No idea. Daybreak’s policy change regarding what customer service can actually assist with is a downright slap in the face to all Everquest players. I’m sorry we’re not playing H1Z1, but we still deserve actual customer support. My biggest gripe with this expansion however, would be instead of this being Everquest, it was Lockout-Quest. I hope that the next expansion focuses more on which raid force is actually better, instead of which raid force has enough people who are jobless or with time off available to log in at 7 AM on a Tuesday. This expansion was by far the closest one yet, and a big kudos goes out to our competition who really pushed us this year. Here’s a picture of us on a boat with T-pain and we’re wearing flippy floppys. Wonton fucked a mermaid.